Hey we know that most people when they hear the name Wilko will think of a million random things before sheds pop into their minds. But actually, Wilko have really stepped up their game when it comes to sheds, greenhouses, playhouses and other garden buildings. We were very impressed with their selection, prices and with how easy their site was to use and that is why today we are talking about Wilko voucher codes. Here a WhatShed we pride ourselves on not just making sure you fine folks have all the right information about a specific shed, but we also take great pride in making sure you know where to get the best deal, how to save money and how to not waste your time looking for magical Wilko discount codes that are going to not actually save you any money. There are many, many sites out there that claim they will save you money, but really all they do is just waste your time. As well as showing you legit ways that you can save a little money. We are also going to be telling you what money saving sites will waste your time as well. Like most other merchants who sells sheds and other Wilko There is not as much profit in sheds, greenhouses and other garden buildings as people think. That is why there is not all that many actual Wilko voucher codes out there as they simply cannot afford to offer people 50, 60 or 70 percent discounts all the time. We know that if you have come to this page you are looking for a discount code for Wilko, as we explain further up Wilko dont often issue discount code. As such we thought you might like to see what are some of the best discounts that are currently on offer from other garden building retailers. The best tips that 90% of people who SAVE money at Wilko use! We feel that when it comes to saving money on getting a shed from Wilko that rather than hunting round the internet for some kind of Wilko voucher code, you are always best going right to the source. Perhaps more than any other retailer we have dealt with, Wilko offer more deals direct than anyone else. Honestly if you want to save money when purchasing a shed or something else from Wilko then the best place to start is their own website as we are going to show you just down below. TIP ONE: Just Click Their Garden Tab! 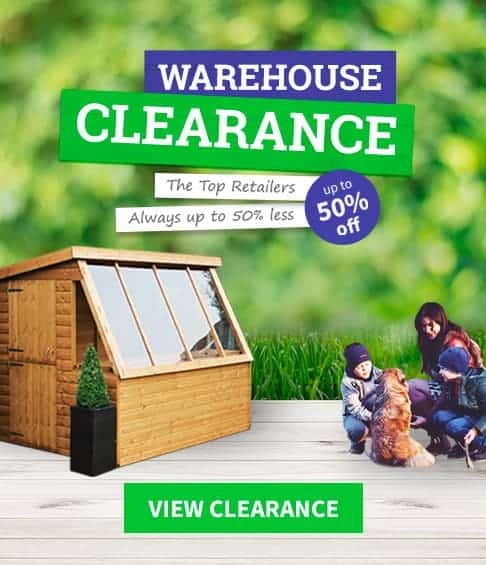 They always have the latest deals at the top of the page: If you want to see right away what the best Wilko deals are then all you have to do is click their garden tab at the top of their homepage. When you do this and you are taken to the garden section, you will see right away what all their latest deals are. We love this as it lets you see the special offers before you start browsing their sheds. We know it is always tempting to just ignore things like this and head down the page. But we can assure you right at the top of their gardens page is where you will find their special offers on sheds and other garden buildings. It is not just garden structures that will be on offer here. We saw things like mowers and pressure washers as well. They have a section dedicated to sheds that are on offer: While we love how they have a general garden special offers section. Wilko do also have a Shed Offers section on their site as well. There is not actually a ton of products on this page as of writing, but the sheds that they do have which currently have a little bit of money knocked off them will be listed here. Wilko do actually make it very easy for you to find out what sheds and other garden structures they have are on offer and that is something we really like. While we liked their general garden special offers section. If you want to cut all the random gardening items out and just want to focus on their sheds then this is the way to do it. The Wilko Facebook page has some good offers: Instead of looking around Facebook for Wilko voucher codes go straight to the Wilko Facebook page. As well as letting you know about what the latest Wilko deals are. Now of course this is a general Facebook page for Wilko so the majority of Wilko special offers and deals that you will be seeing here will not be for sheds, but they do pop up from time to time so it is worth having look down the page to see if there is anything that catches your eye. Wilko have a dedicated special offers section: On the top of the Wilko homepage one of the tabs that they have is offers. Now this is a general offers section so you will have to do some looking around once you click it. But we did see some great deals on here that will help you out. for example one of the first Wilko deals that we saw when we clicked this section was for half price wood treatment. Which is great as most of the wooden sheds that Wilko sell require treatment after installation. So while you will not find their shed deals in here, you will find great offers on accessories and other items that will help make your garden, shed or other garden structure that little bit better. Normally this is not the kind of special offers or deals section we would bother to tell you about, but as there is so many gardening extras in here we feel it is something you need to know about. Get their latest offers via their newsletter: Wilko do have an official newsletter that is free and simple to sign up for. They say that you will be notified of their latest deals and offers, but of course this is not just exclusive to their sheds. You will get notified about all their deals and special offers which may annoy some of you, but if you do want to keep up to date on their latest deals then this is one of the best ways to do so. A round-up of all the current Wilko voucher codes we found online. Wilko actually really impressed us with their selection of garden buildings. They are ideal for those who do not have a large budget or for those who just want something that is not too pricy. This means that Wilko have more lower end garden buildings than most other retailers and there is nothing wrong with that. It means that they are great for those who are not bothered about having a shed made from the highest quality timber and who just want something basic to store a few tools or the kids bikes. While we like their garden section. The fact is, Wilko are a retailer who sell a little bit of everything. This means finding a Wilko voucher code or deal online that is specially for sheds or some other kind of garden building is very hard, but that will not stop people from looking and that is what this next section is all about. Right here we are looking at the sites that claim to have Wilko voucher codes, special offers and exclusive deals. Most of these will claim to save you some incredible amount of money or tell you about a deal that is not even exclusive to them as you can get it directly from Wilko themselves! There are so many sites that promise you he savings, but all they really do is waste your time and make you want to punch your computer screen. We are looking at the main sites which claim to offer these amazing deals, but do not actually offer much in the way of savings at all. We made sure to use the most common search terms when it comes to looking for savings and these search terms are. Wilko Voucher Codes, Wilko Coupon code, Wilko Current Discounts, Wilko Current Voucher Codes and Wilko Sale. Random Wilko Deals Will Waste Your Time! Wilko are a retailer who pretty much sell everything under the sun. You can get a packet of crisps, a lotto ticket, a hammer, batman toys, paint and many, many other random items. You see the problem with sites offering Wilko deals is that most of the time they will be for random things that have nothing to do with sheds or the garden in general. This makes looking for Wilko discount codes that little bit more tedious than a retailer who just sells sheds. One other thing to watch for is that some sites still refer to Wilko as Wilkinsons. They have not been called Wilkinsons for a couple of years now so if a site still has them listed as that then you know for sure they are wasting your time. MyVoucherCodes.co.uk – Just lists deals that are on the Wilko site! What they claim? My Voucher Codes do a great job in giving you a little background information about Wilko, but they also claim that the Wilko vouchers they have are current and up to date. As a matter of fact they have the actual month listed right above their current deals and offers. What We Found? We did not find any offers for sheds or anything garden related here. Actually all we found was a bunch of links that just take you to the Wilko website where you could have gotten the deals direct anyway! Coming to My Voucher Codes will not save you any more money than if you had gone to Wilko directly so please do not waste your time. What they claim? Now to be fair to UK Promo Pro they are not actually making any bold claimed that they have the latest and greatest Wilko deals and voucher codes. They simply have a little description about the history of Wilko and then they get straight into their list of deals. What We Found? There are two main sections to the Wilko page on UK Promo Pro the first part has the current Wilko offers and to be fair these are legit offers that are running as of us writing this guide. But they are just the same deals that you are getting when you go directly to the Wilko website so you have to ask what is the point in coming here? Now our problem with this site is that they have another section of old Wilko voucher codes and deals that are long expired, but they say that they might still work. We can say with some certainty that these old codes will not work so do not waste your time. What they claim? Voucher Codes is one of the less offensive sites on this list. To be fair they are up front in telling you that these are the latest Wilko deals that are happening right now. They are not making any wild claims that they have these magical Wilko voucher codes or anything like that. They are just simply listing the current deals that the Wilko website is offering. What We Found? Not a lot to be honest while they do have the current Wilko deals listed here for some odd reason they have not listed any of the shed offers that Wilko currently have. We are not sure of the reason for this, but it does mean that coming to this site is not going to result in you getting a better deal from Wilko. What they claim? Fyvor have a very in depth look at Wilko and they have done a good job letting people know exactly what the store offers. They also claim that their Wilko deals section is bang up to date and you will get the best deals right here. What We Found? What we found when looking at all their Wilko deals was that these are deals which are current right now. If you want to get Flash cleaning supplies for half price then Fyvor have the link for you. But if you want to save money on that 6 X 4 shed you have had your eye on then you are out of luck. Fyvor is not an offensive site at all and the deals they have listed are actual deals that are happening right now. But at the same time going through them all is just a colossal waste of your time as you will be no financially better off for doing so. What they claim? Right at the top of the page, Don’t Pay Full claim that they have Wilko coupon codes so we can see why some people may get excited and think this site will save them a few pounds on that shed they have their eye on. What We Found? Well we found no deals for sheds, summerhouses, playhouses or any other garden structures, we can tell you that right off the bat. But what kind of bugs us about this site is that they say right at the top that they have Wilko coupon codes. But they actually do not have any at all! What they have is just some links that take you to the Wilko site. These take you to pages that you could have just gone to yourself without using Don’t Pay Full as a middle man. DealsDaddy.co.uk – None of their deals are for sheds! What they claim? Deals Daddy is a money saving site that we have not actually seen much of, but they are one of the top ten sites that come up when looking for Wilko voucher codes. No bold claims are made here to be fair to them, but they do have a list of what they call Wilko discount codes. What We Found? Ok so a couple of things. First of all none of the Wilko deals that are listed here are for garden sheds. Also the deals that they do have are just links to the Wilko website. But we like to be fair here at WhatShed and we will say that while this site is just a waste of your time. The site is very easy on the eyes, not overfull of pointless information and links to other sites so there is that we have to give them credit for. What they claim? Wow this is one of the most boastful voucher sites we have ever seen! Home Promo Code claim that they do not just have the latest Wilko voucher codes and deals. But they have the very best ones you can get. They make it a point to mention who up to date their codes are and how you can save money by using them. What We Found? Now they do have many current Wilko offers listed on this site. But again like all the other sites on this list, you can get these deals right off the Wilko homepage! So coming here is going to do nothing other than waste your valuable time. While most of their deals do link to the relevant section of the Wilko site. A few of them just take you to the homepage. What they claim? Now Play Pennies is a site that is actually well known a pretty respected. But when it comes to Wilko. They are claiming that they have current Wilko promo codes for 2016. They do not have a large selection here, but they do claim that they are all valid for 2016. What We Found? We did not find any deals for sheds or garden buildings here and the Wilko deals that are actually current that they list are not exclusive to this site at all. This is fair enough, but the issue we have with Play Pennies is the list of expired Wilko promo codes they have. We hate to imagine how many people have wasted their time going through these old codes trying to get them to work. We always wonder why do sites keep these old and expired codes around? VoucherBin.co.uk – No shed deals to be had here! What they claim? Voucher Bin do have a Wilko voucher codes section and they say that these vouchers are valid. We are writing this guide in May and the site claims that the Wilko deals they have are valid for May 2016. What We Found? This has one of the smallest selections of Wilko offers of any site on this list, but they are still one of the first sites that come up on Google when looking for Wilko deals. None of their deals were for sheds or anything to do with the garden and they also have a list of what they call unreliable codes. Coming here is just a waste of time so please do not bother. What they claim? Not only does Promotional Codes claim that they have Wilko deals and offers they also claim to have some handy shopping tips for you as well. There are plenty of supposed Wilko special offers listed here and all of them have a 100 percent success rating next to them. What We Found? There is a whole lot of writing on this site, but no substance at all. Most of the Wilko voucher codes and deals that they have listed, when you click on them take you to the exact same page on the Wilko site. Now the section of the site it links you to is the sale section, but do you really need a middleman to find this? Save yourself the time and frustration by just going straight to the Wilko site.